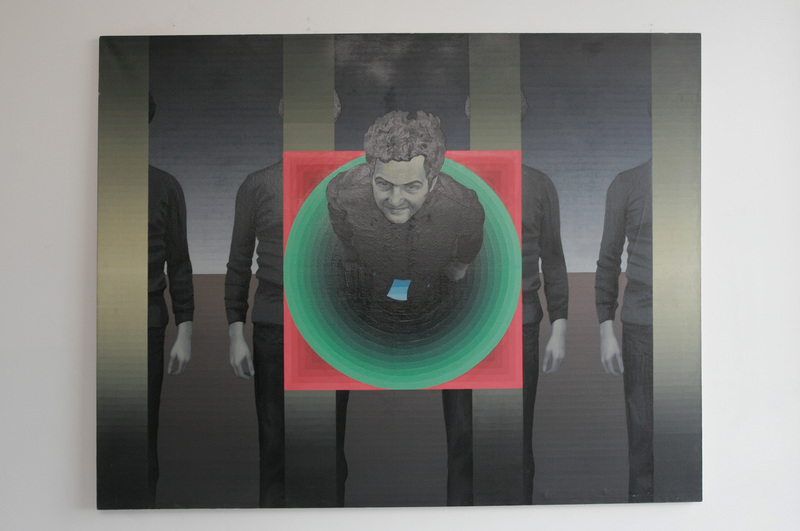 Sasho Stoicov’s solo exhibition “A hole in the parquet” at Sariev Gallery in December 2011 calls our attention and introduces this not so well-known, but emblematic Bulgarian artist from the Transition period. Sariev Gallery’s intent with this exhibition is to make a short presentational profile of the artist through his most characteristic works from the beginning of 1980’s, some of them were never shown and some are completely new from 2011. 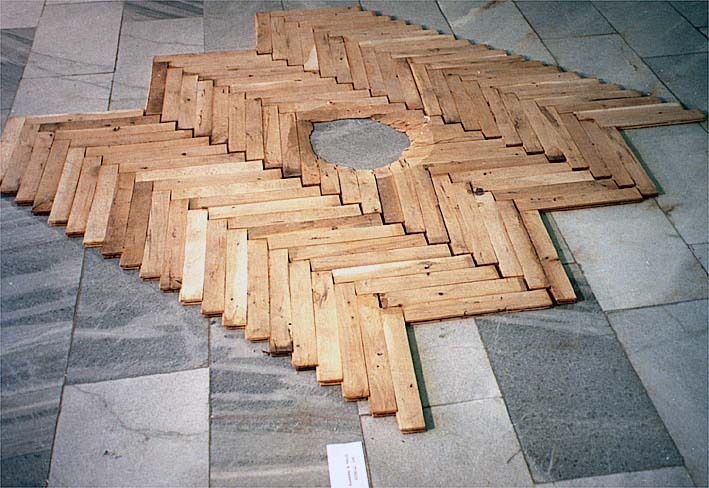 The title of the exhibition is that of the most memorable and scandalous of its time artwork – “A hole in the parquet”, 1989. 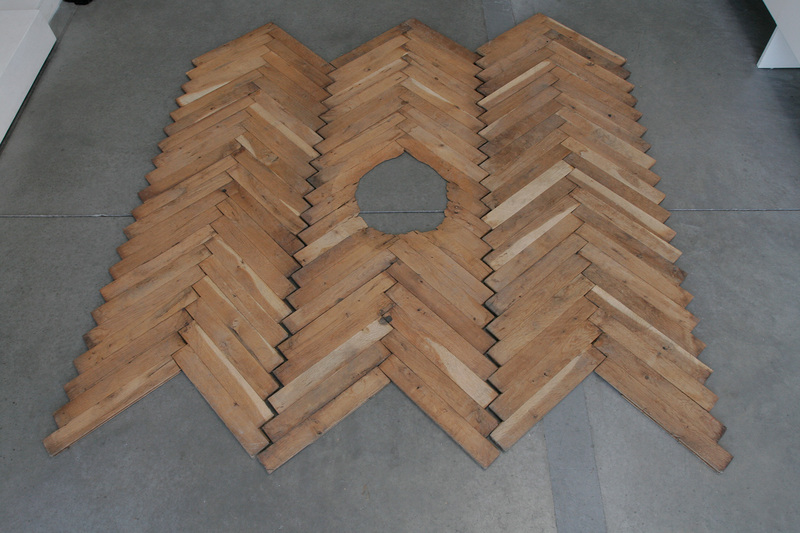 This work was created for the exhibition “11, 11, 89” in Blagoevgrad and represents a piece of parquet floor with a cut off hole in the middle, in the artist’s words interpreting “the break in the parquet communism and the rise of the philistine class”. From that point it’s fully expectable that Sasho Stoicov found himself in the avant-garde of the conceptual activities on the brink of the transition. Not only did he participate in the most emblematic exhibitions of this period, but he also organized some of them as a hidden leader of “Blagoevgrad Group”. There is a lot of politics and social reflection in the works he created during that time: “Energy Boom”, 1988, “Home ecology”, 1988, “A hole in the parquet”, 1989. They are connected with the dramatic ideological changes and the tragic economic situation. In the beginning of the 1990’s he developed auction based, socially critical activities aimed at a more profound analysis of the past. He was doing that through the symbols (five-pointed star, pickaxes, shovels) in his paintings, wooden plastic works, water-colours - all with icon or eastern miniature stylistic; through ironical sacralisation – the tools of labour turned into gilded icons and altars - or through enlarging the motive so much that it loses its image and its concrete message. Sasho Stoicov is the only one who found the meaning and motivation to deal with the past and its visual rhetoric. After leaving for New York in 1998 he appeared almost unexpectedly in Bulgaria with his exhibitions “Naturally” at the National Art Gallery, 2004, and “Waterfall”, 2005. At first sight they look completely disconnected from his previous development. Indeed, the work material is different –expanded polystyrene, colourful paper and scotch that build up three-dimensional imitation forms of natural elements. With added delicately negligent colour pencil drawings. The overall impression is minimalist but also dummy. It’s a parallel reality which reminds a lot of the portraits from the “Programme” series, namely in the border between the visible and irrational. 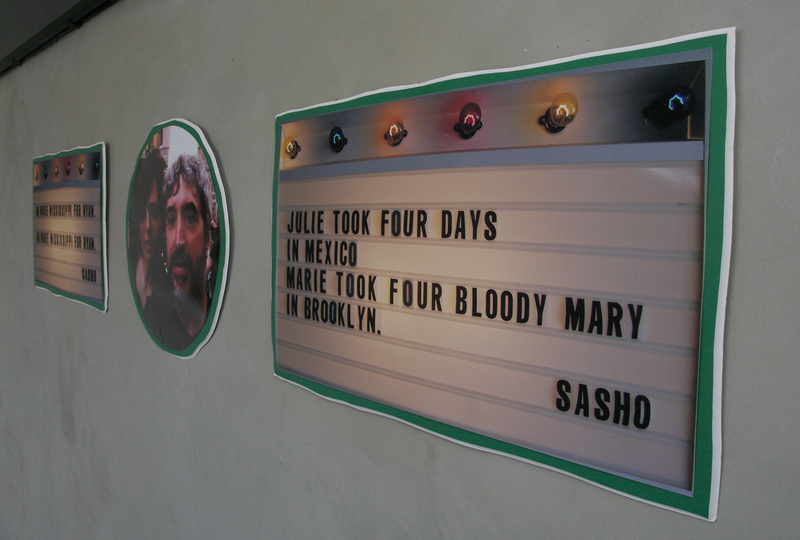 Sasho Stoicov continues to take advantage of his specific, non-obsessive sense of humour which plays with the world around in somewhat naïve, childish manner. In the same way, as a joke, he started to write his short poems on a notice board in a New York bar, which later turned out to be penetrating, unpretentious observations on the world around. 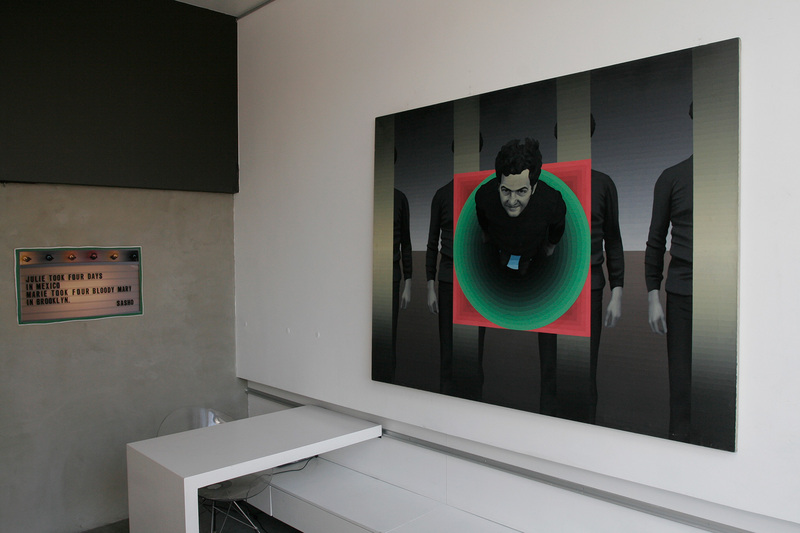 The change or rather the progress in his art becomes more visible in comparing two of his works “A hole in the parquet”, 1989 (parquet), and “Parquet” 2011 (foam board). The first was created in the sensitive environment of the year of transition and symbolizes exactly this – the breakthrough in the system and all the consequences that followed. The second one was created in the seemingly comfortable reality of New York and leaves a sense of something temporary, disguised in clown’s colours, but initially doomed and transient. The artist may say that it brings “serenity from the present day”, but in a way it casts suspicion on it. This is a typical work that shows Sasho Stoicov’s ability to make us think by leaving the impression that we are just having fun. 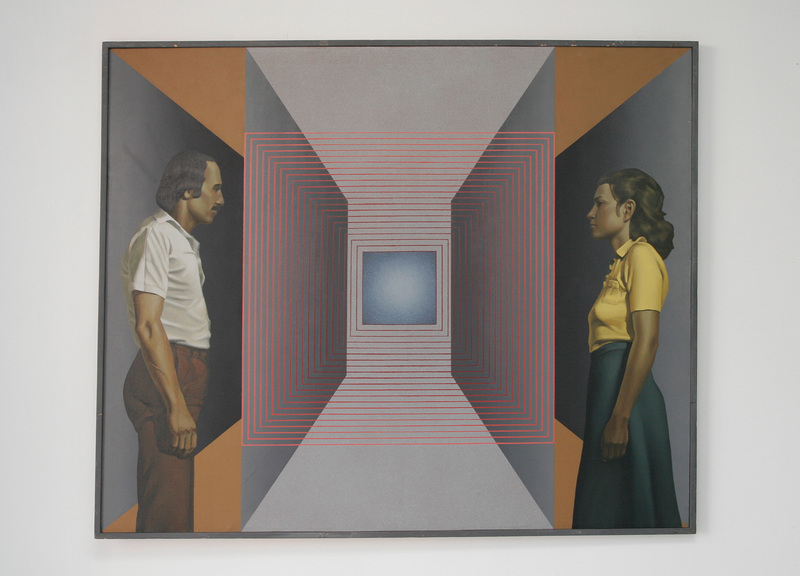 Besides the homonymous work “A hole in the parquet” the solo exhibition at Sariev Gallery also shows and brings together other mentioned works from this period: the big-sized paintings in photo-realistic style: “One family”, 1979, “Andrei Programme”, 1980, “Bratanov Programme”, 1980. 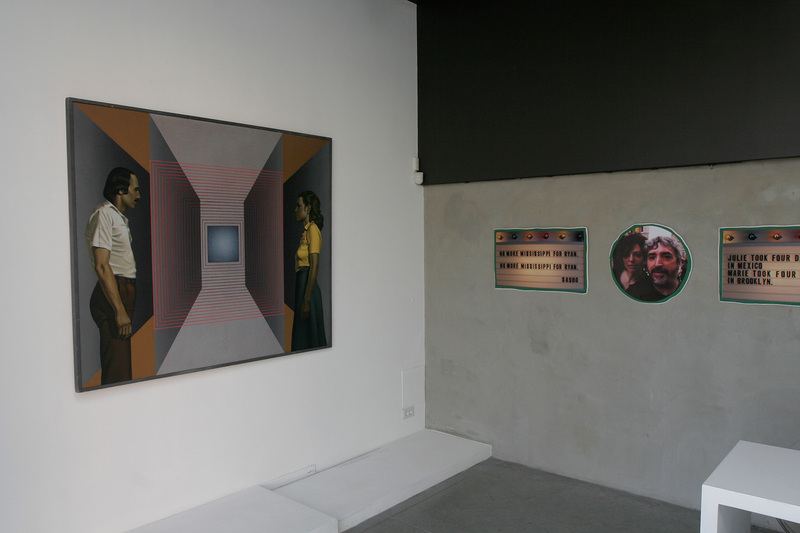 Four of the works from this exhibition were created in 2011, all in foam board: “Parquet” – wall installation, two “Poems” and “A photograph” – dummy replicas of “One family” from the 1980’s. 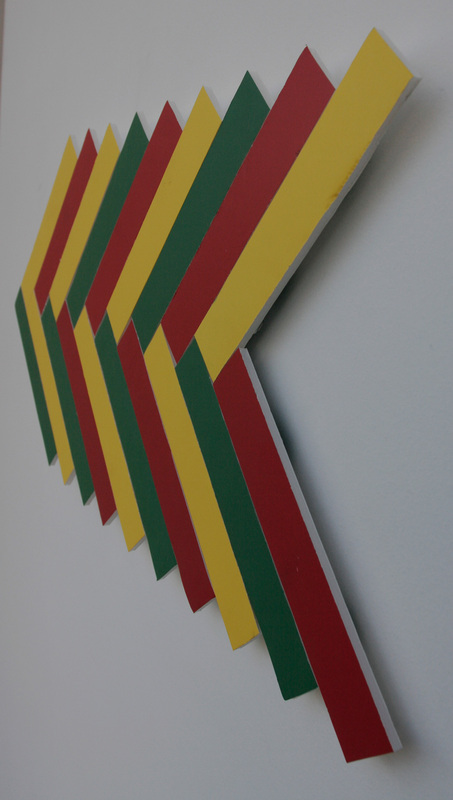 Exhibiting the work of Sasho Stoicov in the context of his development from the 1980’s until 2011 is part if the gallery’s policy to present Bulgarian contemporary art as a historical process in search of its own territory. This strategy began with the exhibition “At the edge of the Ideal” in 2009 which was dedicated to the 20th anniversary of the emblematic avant-garde group from Plovdiv “Edge”. Sasho Stoicov was born in 1952 in Blagoevgrad. He graduated from The National Art Academy in Sofia in 1997. He participated in the first acts of the so-called unconventional arts in Bulgaria. He has been living in New York since 1998. Among his most notable independent exhibitions are: “Acrylic works”, Arosita Gallery, Sofia (2010); „Fly”, Arosita Gallery, Sofia (2008); “Waterfall”, Sofia City Art Gallery (2001); “Naturally”, National Art Gallery, Sofia (2004); „Mosholu PKWY”, Match Book Gallery, New York (2003); “Saxophone player in the bathroom”, ATA-Rai Gallery, Sofia (1996), “Eastern miniatures”, National Art Gallery, Sofia (1996), “Signs” XO Gallery, Berlin (1996). His artworks are part of the Sofia City Art Gallery collection, also of private collections in Bulgaria and abroad. 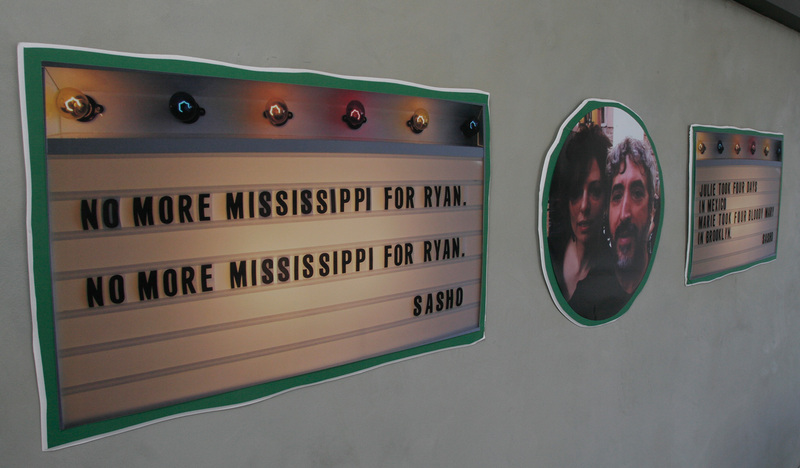 He was awarded with the prize of M-Tel for contemporary art (2007).